The Brother FAX-837MCS Thermal Fax Machine comes housed with a string of cool tools to handle a multitude of tasks, providing flexibility and convenience for a busy office and household. 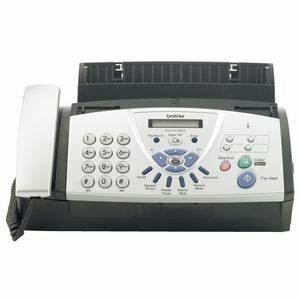 The Brother FAX837MCS Fax Machine was added to the Fax Machines category in June 2016. The lowest price GetPrice has found for the Brother FAX837MCS Fax Machine in Australia is $125.30 from PCDepot.com.au. Other merchants who stock it are PCDepot.com.au, GetBrother.com.au, Harris Technology, Cartridge Store, winc..